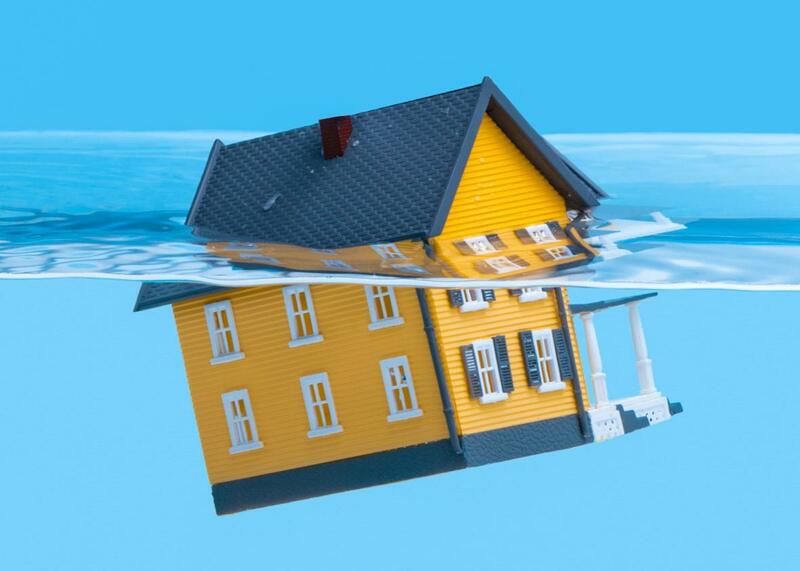 Ask the Bills: I’m underwater on my mortgage and want out. Help! I’m Underwater on My Mortgage and I Want Out! What Do I Do? This and other personal-finance questions, answered. A strategic foreclosure is a bit different from being unable to keep up with your mortgage and falling behind on it. Welcome to Ask the Bills, where every two weeks Helaine Olen answers readers’ questions about their most nagging personal-finance and financial etiquette dilemmas. Seeking advice on a money issue? Email helaine.olen@slate.com. My husband and I are way underwater on our mortgage. We owe $70,000 and the houses on either side of us have sold for less than $20,000 in the last year. The house is falling apart, and the school system is unaccredited and terrible. My mother is in poor health, so we moved in with her last month to help take care of her and get our son in a better school system. We don’t need our house, or good credit to get a new one. But we can’t rent it out without putting at least $10,000—which we don’t have—into it. We’re current on our mortgage now, but each payment feels like throwing away money. I know there are various government programs to help poor folks stay in their houses, but we don’t want to do that. And we don’t have a documented financial hardship beyond buying a crappy old house at exactly the wrong time and $20,000 in credit card debt. We’re completely ready to do a strategic foreclosure or bankruptcy. What do we do? This wasn’t supposed to happen. Back before the real estate bubble burst, almost everyone was saying buying a home was the best investment we could ever make. It wasn’t—and a lot of people like you got stuck dealing with the damage. It feels like a betrayal. Life moved on but you could not. When you owe the bank more on a house than it is worth, you can’t simply put it up for sale. It’s more complicated than that. But there’s nothing wrong with wanting to seek a fresh start in these circumstances, and don’t let any two-bit moralizer tell you otherwise. You made a bad investment. You tried your best to make it right. You don’t owe this home or the bank your life. Now that we have that out of the way, here’s what not to do. Don’t just stop making payments on the home. First, talk to experts and get a handle on your personal financial situation. That you have $20,000 in outstanding credit card debt (and don’t have $10,000 to spare) tells me you desperately need to. Sit down with a counselor at a nonprofit like the National Foundation for Credit Counseling. Try to work out a way to pay down your debt if you can—or learn how to best declare bankruptcy if you can’t. On to the house. A strategic foreclosure is a bit different from being unable to keep up with your mortgage and falling behind on it. It means you’ve decided not to throw good money after bad, even though you could afford to do so. (Can you? I hope you didn’t run up all that credit card debt trying to keep current on your house.) It’s complicated, there are many avenues to navigate, and the rules will vary according to where you live. In many states, for example, the bank could take legal action in an effort to tap into your assets so it can recoup its loss. You don’t want that. But if you do go ahead with a strategic foreclosure—meaning you’ve decided to no longer pay the mortgage and let the bank repossess the home—know that there are significant downsides, even if your other assets remain in your possession. Your credit report will take a hit, and that might be an issue if you’re seeking a new job or new rental housing, not to mention access to credit. Should you want to buy another home, it will take years to get another loan (though how long depends on the type of loan). You’ll need a real estate attorney to help you navigate this process, tell you if it’s the right thing to do in your situation, and help limit the financial damage. If you don’t know one, call your state bar association and ask for recommendations. I know this all sounds daunting. Don’t think of it as a ginormous process. Think of it as taking one step at a time. My wife and I are in our early 30s and have two kids, both of whom are younger than 5. We live in New York City and would love to stay and buy a home here, but the prospect is daunting. For various reasons—most prominently the proximity of my wife’s parents—we would like to remain in our current neighborhood. We realized some time ago that while it is not outright impossible for us to buy here, it would require several years of single-minded savings to afford the sure-to-be-enormous mortgage. After a couple of years of this, we’ve accumulated a decent chunk of money. Sadly, all our hard work hasn’t brought our goal much closer given the state of the market around here; by the time we can afford to buy, I’m afraid we’ll have been saving for a decade. I’m now having second thoughts. Our current lifestyle is comfortable, even with our ambitious savings targets. We could rededicate the money to other ends and make use of tax-advantaged vehicles for retirement and college savings. On the other hand, if we give up on this dream now, we’ll be tenants forever, paying out rent for retirement instead of cashing out equity. What should we do? Should we rent or still try to buy? Ten years is a long time. Will housing prices keep going up or will they go down? Will you and your wife even still be living and working in New York City? Will your in-laws? The housing market could go up in such way that you end up saving for a down payment for 20 years, or collapse so that you can buy in five. You might gather all that money only to decide you don’t want to live in the neighborhood any longer. We all want certainty when that’s not how life works. So take a step back. Why do you want to become a homeowner? Is it just a financial decision? In that case you might well be better off renting, and continuing saving and investing money. Economists run the numbers in different ways, but many, like Nobel Prize winner Robert Shiller, say that given historic trends, renting is a better deal—provided, that is, that you invest the money you would have used to buy a home and don’t spend it on vacations and dinners out. Many people don’t have that sort of discipline. For them, home ownership works as a high-cost automatic savings scheme. But it sounds like you don’t need the enforced savings mechanism of owning a home, based on the habits you’re describing. But … and there is always a but, right? A home of one’s own is more than a financial move. We buy it in the hopes that not only will it turn out to be a good investment, but that it will give us a ballast in the world, a bit of stability in a forever-shifting landscape. We are not fully masters of our surroundings when we lease. Rents can increase. Landlords can tell us we can’t paint a room yellow, or deny us permission to keep a cat. That doesn’t happen in our own space. I can’t predict the future any more than you can. (Housing prices could come down. It’s happened before, right? But they could continue to go up too.) I can say you’ve got terrific savings habits. It doesn’t sound like you need to buy a home to secure your retirement. So figure out what your primary motivation for buying is. Then you can make a decision about how to best handle your finances. I have a lovely neighbor who, a few years ago, agreed to be my IT consultant for my home office. She wouldn’t accept payment then, and she still won’t take payment now. I have multiple computers and a complex setup. She’s saving me at least $500 a year, maybe $1,000. I want to show gratitude, but she doesn’t want to take anything in return for the considerable money she has saved me over the past few years. She’s complained when I sent her flowers, and she’s complained when I bought her food. Can I sneak her money somehow? Doing business with friends and acquaintances can be an impossible relationship to navigate, even when you’re paying by the hour, and even, as in your case, when you’re not paying at all. If you’re unhappy with the work, you can’t simply complain and then move on. What do you say the next time you see your neighbor? Awkward! Even worse, one day the situation could cross a line. Maybe you’ll be taking your neighbor for granted, even unintentionally. Maybe she’ll just be having a busy week, and she’ll detect entitlement in your voice when in fact you’re simply panicked because your computer and scanner won’t speak to one another and you have a work deadline and goddamn it you need help now! It won’t matter. The damage will be done. So your job is to make sure this never happens. You need to get creative. Find a charity that works with tech issues. It can be funding computers for inner-city schools, or one that teaches the elderly how to use social-networking sites. (Yes, they are still out there!) Or whatever else seems worthy too you. Then the next time you see your neighbor, say something like, “I’ve really been thinking about this. We’re beyond grateful for all your help. We know you won’t accept money from us. But we are going to pay you a different way. Because of all you’ve done for us, we are going to add this charity to our list. Do you know anything about it or do you think another such organization does better work?” Then follow through and make the donation. One last thing: Keep offering to pay your neighbor every time you use her services. One day, she might need the money and take it.